If you’re a Scout, a Fighter, and maybe even a Cleric, Druid, Enchanter, or Mystic in EQ2, and you push yourself to play the absolute best (even if you’re not geared the best), you’re probably already familiar with the concept of Autoattack. Game Update 61 introduced a new type of Autoattack called Spell Autoattack for Mages and Priests. You might be tempted to jump on the DPS bandwagon, but before you run out and equip a Wand, there are some things you really ought to know! UPDATE: This article has been updated thanks to feedback from Ferk, Anaogi, Barx! Progression is a funny thing. Funnel players into too strict a progression path of gear, of levels, of dungeons, and you take away player choice and limit options. Provide too many options or no clear path, and you have player confusion about what they’re supposed to do next in the line of progression. The Shadow Odyssey had a straightforward (if restricting for developers) progression, with 3 and later 4 tiers of armor from Heroic through to x4 Raiding. This is not to mention the open-to-all Shard of Hate raid zone which had internal progression from a named encounter that almost any pickup could kill, to arguably the hardest raid mob in the game (Byzola). Sentinel’s Fate broke from the set bonuses of The Shadow Odyssey and scattered itemization throughout the zones. It also gradually increased the reliance on the Critical Mitigation survivability stat, at least in raid zones. If Sentinel’s Fate had an overabundance of options, Destiny of Velious went the opposite way. The Velious group zones and even the overland solo zones all went on Progression lockdown, each requiring copious amounts of the Critical Mitigation survivability stat. Everything was put on a straight path with few diversions. Access quests also made a return to group dungeons, something unheard of since EQ2’s third expansion. Every Destiny of Velious raid zone has been offered in a Normal or “easy” (EM) and Challenge or “hard” (HM) mode. The reduced buff packages and easier scripts in the normal zones have allowed many guilds to participate in these raid encounters that would not normally have the gear, coordination, or skill to do so. Fixed an issue with Guild Halls. Fixed an issue causing the streaming client to use old assets. Fixed an issue which could cause the streaming client to crash on startup. Fixed a disconnect bug where some characters would get dropped to character select upon login. If you answer yes, all items will be immediately unattuned. Any equipped items will be popped into overflow. If you answer no, items will not be unattuned and you will not be asked again. I could write 50,000 words about the disappointing Game Update 61, with referenced links to the nearly 100 forum discussions about its flaws, plus countless player and developer quotes. But what difference would it make? Despite a 2-day delay, and despite pushback from both Developers and Testers warning that the update still needed weeks, possibly a month of work to meet any reasonable measurement of build quality, Game Update 61 was released Thursday, August 25th. It was clear on Monday the 22nd that there was no way the Reitemization of EQ2 would be completed in time for Game Update 61’s launch. Not only were thousands of items still in a bugged or unusable state on the Test server, but the scope of the project seemingly kept growing. Despite the incredible time pressure of trying to re-do 50,000 items in a span of 2 months, the project grew as the release deadline loomed. We were more alarmed than impressed by news that Sentinel’s Fate had been added to the already overwhelming slate. Due to the widespread changes to Itemization in Game Update 61 for level 20-90 items (including Sentinel’s Fate and Velious gear which were rushed for inclusion), a complementary Global Unattune was provided. This was supposed to include every item including Equipment, Appearance, Inventory (bags), and your Bank. 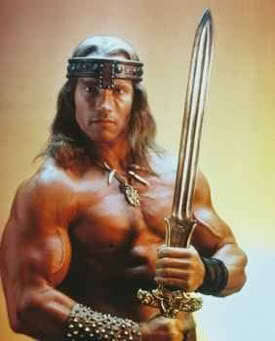 However this did not quite work out that way, at least not permanently. Players have discovered that when they login for the first time, most or all of their items are Unattuned, but if they log out that character and log back in, all Bank items get Reattuned. Why? So when you login, the script is telling your computer that the items are unattuned in your Bank. But nobody’s telling the database server. So the next time you fetch your character, everything’s all attuned again. Clear as mud? After weeks of testers reporting getting stuck in their Guild Halls, or being unable to zone into their Guild Halls, especially Tier 2 halls in South Qeynos, this bug went live with Game Update 61, and was not corrected with today’s update. Your only recourse is to file a Petition with Customer Service with a status of “Stuck” and see if they will Reset your Guild Hall instance. Good luck! GU61 – Do Over! AAs Reset and Items Unadorned Again on Friday! We will be hotifixing this bug tomorrow. The downside is that all of your items will become unattuned again and we will refund adornments applied to any equipped gear. After this runs tomorrow, the items should remain unattuned until you decide to attune them again. Tomorrow’s hotfix will also include a fix for the AA trees not resetting properly or resetting at incorrect times. Tomorrow’s hotfix will reset *all* AAs as originally planned. If you reassign AA points today, they will be reset again tomorrow, so feel free to experiment with settings today. You’ll get to reassign them again tomorrow. Tomorrow’s hotfix will also properly unattune *all* items, even the ones in your bank. So you’ll need to reattune and empty out your overflow again tomorrow. 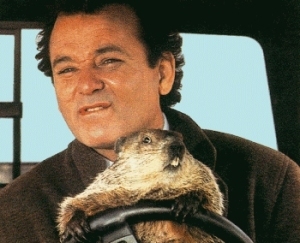 So I wouldn’t bother going through all your toons and making sure everything is set just right since tomorrow you’ll be thinking it’s GROUNDHOG DAY! Note that the trailer mentions the Dungeon Finder which is not currently available. When the Dungeon Finder goes live, it will be specific to each server/realm at first, and won’t be cross-server, which may take months/years to implement. The time is near for the great Fortress of Drunder to reveal its true purpose to all. The very bedrock of the Eastern Wastes shudders as a massive portal rips itself open within the fortress walls. The sounds of battle echo through its halls as the God of War himself prepares his innumerable armies to march across the frozen face of Velious and seize control of the lands of Norrath for all eternity. ZAM’s Cyliena, who has taken a larger role handling in-depth coverage of EQ2 and specifically Game Update 61, took a moment to appear on the Jethal Silverwing Show this week. She joined Jethal and Elquinjena to talk about EverQuest II’s Game Update 61 and more. All dungeon and overland loot items have been re-itemized. What does this mean? It means loot everywhere should be legitimate for the level it drops for, no matter where you go now. Go explore some nooks and crannies you haven’t seen for a long time and get off the Golden Path! The loot’s good again. The Velious saga continues as you journey past the Citadel of Drunder to the Plane of War itself in a new dungeon and raid, and a continuation of the Signature quest line. 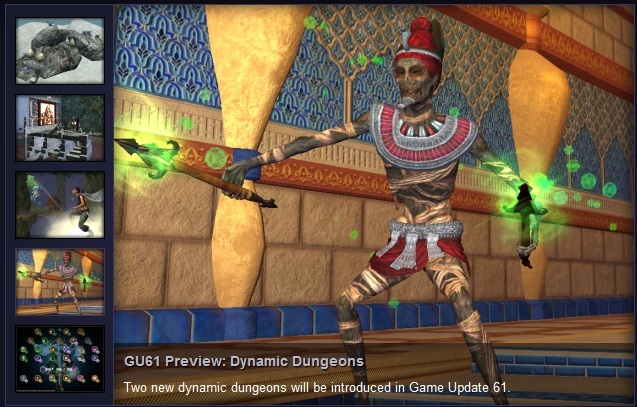 New dynamically-scaling dungeons have been added. These scale to your group between levels 60-90 and are designed as new single group heroic content that’s more re-playable. We’ll be watching your reactions to these initial two dungeon experiments and improving on these in the future! If you ever wanted to show EQII to your friends, it’s now very easy. Push a button, record, and post your footage to YouTube with our new Video Capture system. The Eastern Wastes area in Velious now has a lot more overland content added to it (the new quests start at the Ry’Gorr keep). A big revamp of the class AA tree so that it’s easier to select the AAs you want, and adding more utility to the AAs that were weak previously. Tradeskillers now have their own AA tree to chase! And yes, Fae and Arasai now have a level 85 quest that can unlock their ability to FLY! The War of Zek, or Game Update 61, will go live on Thursday, August 25, 2011. The US servers will be offline at the usual update time of 7:00 am PDT and are expected to be back online around 10:00 am PDT. UK worlds will be updated at 3:00 PM London Time. The estimated downtime will be 3 hours. We will post the Game Update 61: Update Notes as soon as we have them. So perhaps you’ve skipped a few quests, or clicked through the dialogue of yet another quest NPC standing between you and phat loots. Or you just haven’t gotten into the necessary groups or raids to experience the continuing storyline. Point is, there is an overarching storyline about the Swords of Destiny (the Qeynos Claymore and Lucan D’Lere’s Soulfire) that carries from Echoes of Faydwer. And leading up to Game Update 61, the EQ2 Lore designers have shared a comprehensive overview of what’s going on in case you missed it. 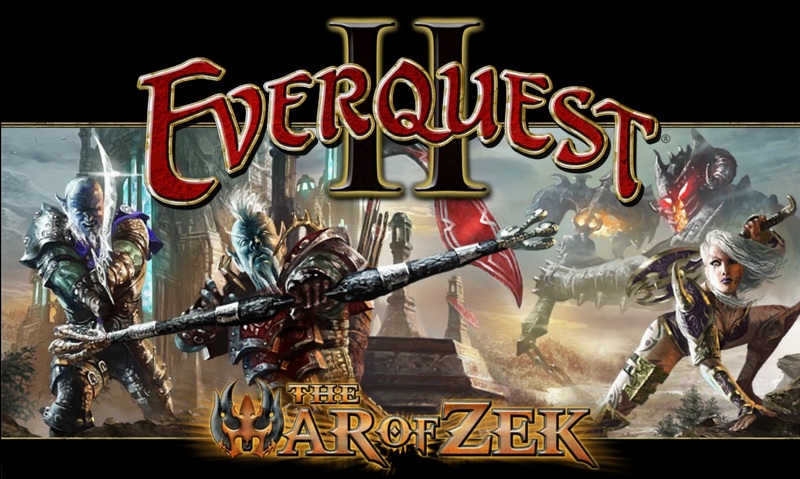 Check out the writeup at EverQuest2.com. Game Update 61: The War of Zek Pushed to Thursday, August 25! In order to make sure that Game Update 61: The War of Zek gets ample testing time, we will be launching this update on Thursday, August 25th. We look forward to sharing the new features and content with you, and will have more specific information on the downtimes for the update later in the week. Ready or Not, Game Update 61 is going live tomorrow, August 23rd, 2011 Thursday, August 25th, 2011. Just wanted to post a quick update since I know folks are looking forward to hearing whose houses we picked, and how. Due to the large number of submissions we couldn’t visit each house in-game, so we looked over all the linked screenshots that Amnerys compiled from the submissions in various places and made a short list of what we thought were the most outstanding houses, which we could then visit in game. There were some really fantastic submissions and it was a great to look through them all! 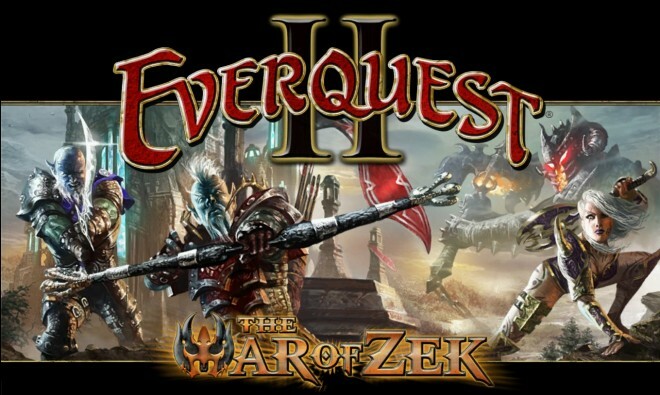 The EQ2 design and mechanics teams have been working nose-to-the-grindstone for at least 2 1/2 months Reitemizing EverQuest 2. That’s every weapon, cloak, charm, piece of jewelry, armor, etc. We’re talking 50,000 items — the sum total of 7 years of overland zones, dungeons, and raid zones. To do so and make no mistakes would be a statistical improbability. On June 24th, the first pass on reitemizing Mastercrafted gear appeared on Test. Silius (who has since moved up from “itemization guy” to Mechanics Lead) expressed appreciation for the bug reports that came in, but then 8 weeks of silence set in. To date, few of the bugs reported had been corrected, and there was little to no developer guidance on the testing process, such as when another pass of changes would be pushed to test. At press time, Mastercrafted gear remains an unfinished work, with frustrating inconsistencies and unavoidable gaps. During this time, drops from Group instances and Raids, as well as Quest gear from levels 20-80 started have also gone under the knife. We’ve seen the expected stats changes, yet some of the tweaks have been more unpredictable, with items flip-flopping class or even archetype. The question on everyone’s minds is, will the itemization be ready by tomorrow? Cronyn, can those of us who don’t want to go through the whole quest, get one of your legendary MS paint summaries of it? With GU61 right around the corner (Tuesday, 23 Aug 2011), SmokeJumper has posted a note on the official forums warning players of some of the changes that will have an immediate impact on players. Read on to see what Smokejumper had to say and our commentary on ways to prepare. After a growing silence about key parts of Game Update 61, specifically unexpected mechanics and itemization changes in high level gear, Salim “Silius” Grant, EQ2 Mechanics Lead, has stepped up and provided a detailed response to the issues as laid out so well by a determined player, Nevao in a thread entitled May we have a “State of the GU” post? Tier 3 to T8 revamp? Last time I checked there were still reports of items with insanely out of whack stats given the tier (mid-tier items with 40+ weapon skills for example) and items that were previously open to multiple classes now restricted to just a few (either directly or through stats). Where are we on this and are the devs happy with where it’s going? Stat values are being tweaked and fixed when we find the bugs. The goal of reitemize was to make items relevent to our current mechanics. This means that items will become polarized to the more archetypical setup we use now. Moments ago, we spoke with Gninja on Test, who has been working hard on spot-checking and fixing any gaps in the Reitemization of level 20-80 items. He’s also been talking to players, examining linked items, and checking bug reports. He also linked some of the loot from Dynamic Dungeons and some higher level items which have gotten new effects. If you have specific examples [of itemization issues] please PM them to us. We can take alook at them on a case by case basis. I should also be available on the test server looking for feedback/issues in the next day or two. Thanks for the work you guys have put into it thus far! I also ask that you make sure they are still a valid issue before sending the info as we have caught a bunch of the issues and already pushed them to test server with the fixes applied. As we reach August’s midway point, we are potentially in the “home stretch” on Game Update 61. If internal schedules hold true, we could see the next update pushed to live servers in 2 weeks. This is usually the point where player anxiety levels are highest, as what’s on Test seems incomplete and not ready for prime time. Although it’s a well-worn cycle, the question is always “Will it be ready?” Will 2 weeks of dev crunch time result in a solid Game Update 61? We’d caught hints, but Fan Faire brought confirmation that level 20-80 gear was being reitemized. When I first heard this announcement, I hoped that this would be done with a light touch. Despite organic development over 6 years, through several different producers, the itemization in EverQuest II from level 1-80 has been one of its strengths. Only through several revamps has Mastercrafted armor managed to disturb this progression. A revamp of level 20-80 gear should provide an opportunity to the EQ2 team to put this right, all while re-aligning Mastercrafted armor where it belongs, behind Legendary and Fabled dungeon drops. With a few minor tweaks, mostly adding Agility to any item wearable by Scouts, Intelligence to Mage-equippable items, and so forth, itemization would, at least from level 1-80, work with the changed mechanics, without losing its uniqueness. [Everyone having monk AAs] will be fixed tomorrow morning. We couldn’t get the fix in tonight for [because?] the next build includes the house rating system which requires us to update the server databases (needed more time to do the update than normal basically). Are you ready to show off your best house? When the house ratings system launches with Game Update 61, we’d like to have a few outstanding house examples ready to show off in the Hall of Fame, so we’re asking you for some suggestions!